Kyle MacLachlan, eat your spice out. Academy Award-nominated actor Timothée Chalamet is in talks to join Legendary’s Dune remake in the lead role of Paul Atreides. According to Deadline, Legendary’s new Dune film is moving right along with its first potential casting two years after buying the film and TV rights to the Frank Herbert novels. 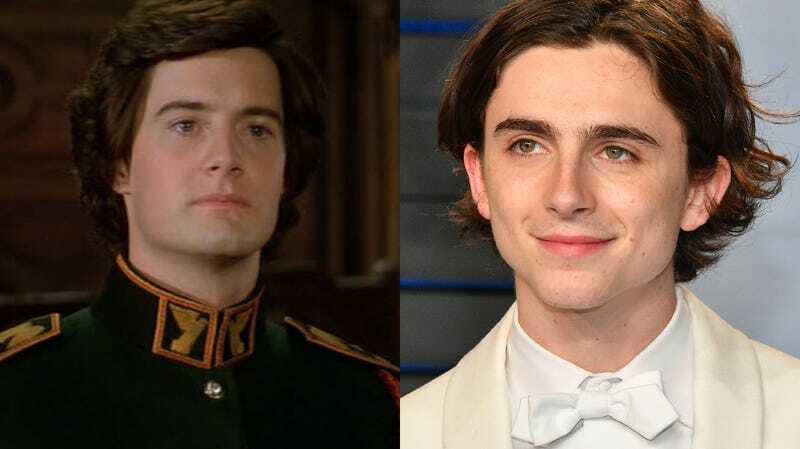 Chalamet, who recently starred in the indie hit Call Me By Your Name, is reportedly in negotiations to play the part of Paul Atreides, the lead character previously played by MacLachlan in David Lynch’s 1984 adaptation. The sci-fi series, an extensive story that deftly weaves politics, science fiction, and action, has stayed popular for 50 years and counting—largely thanks to Lynch’s 1984 film, along with a miniseries that came out about 15 years later. I’m hoping the casting is finalized, because Chalamet would be an excellent choice. He’s got the look, and the acting chops to back it up. The latest adaptation is being written by Eric Roth (Forrest Gump) and directed by Denis Villeneuve, who chose Dune as his follow-up to Blade Runner 2049—even though he was offered a chance to direct the next James Bond film. Dune isn’t easy to adapt, but it’s exciting that these folks are trying to make it happen. I wish them luck, and lots of spice.